Every guy needs heavy fire power that's safely locked away from little fingers. 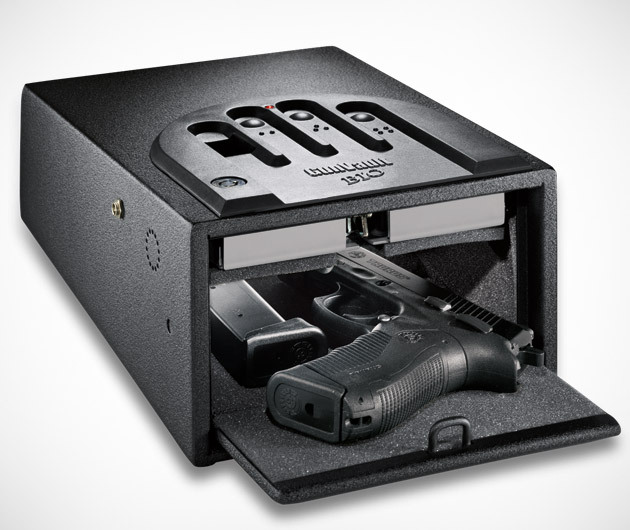 The MiniVault Biometric from GunVault makes sure that your gun is locked away from anyone's fingers but your own. It uses a computerized system to read your fingers in particular, and if someone else puts their hand on the sensors a few times, it locks down. The MiniVault Biometric provides more than one kind of peace of mind.